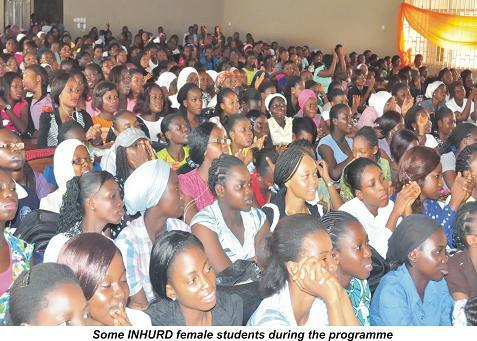 The Acting Head, Department of Communication and General Studies, Dr. Helen Bodunde, has called on young ladies in the nation’s ivory towers to live exemplary lifestyles that would make them responsible members of the society. 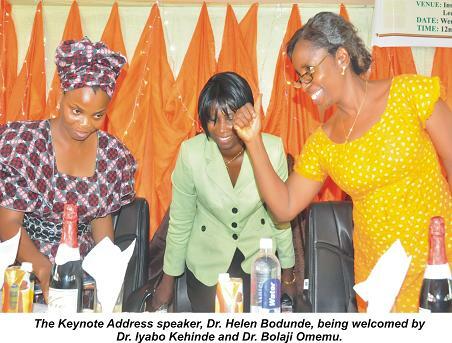 Dr. Bodunde gave the advice while delivering a lecture titled, Damsel of Excellence, duringin a Role Modelling event organised by a Fellow of the African Women in Agricultural Research and Development (AWARD), Dr. Iyabode Kehinde, held recently at the Institute for Human Resources Development (INHURD). The Guest Speaker enjoined the young ladies to imbibe good virtues and aim for success in life by having positive visions and goals that should be followed with action. As students, she advised them never to give away their body for pre-marital sexual gratification of men noting that, if a man truly loves a woman, he should be patient and ready to walk the path of success with her, as she recollected the popular duet song by King Sunny Ade and Onyeka Onwenu titled, “if you love me”, you go wait for me…to buttress her point. Welcoming guests to the event, Dr. Kehinde, a 2010 AWARD Fellow, said the programme was aimed at giving the female-folk a purposeful direction in life. She added that AWARD was a professional development initiative, which strengthens the research and leadership skills of African women in Agricultural Science, empowering the women to contribute more effectively to poverty alleviation as well as food security in sub-Saharan Africa. Dignitaries present at the occasion included the Dean, Postgraduate School. Professor Ololade Enikuomehin; Director, Institute of Human Resources Development (INHURD), Professor Francis Sowemimo; Director, Centre for Entrepreneurial Studies (CENTS), Professor Femi Onifade; and Mrs.Oyedeji Eniola, a Mentee to Dr. (Mrs.) Kehinde. 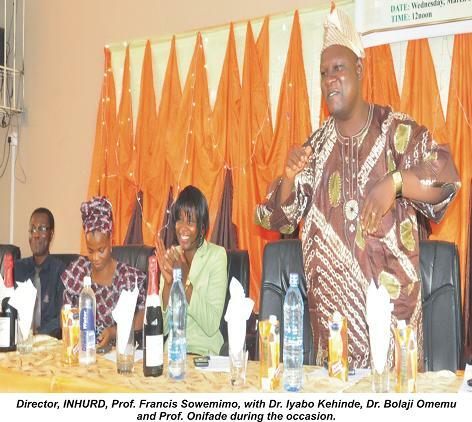 Others are, a former Acting HOD, Food Science and Technology, Mrs. Joan Babajide; Acting HOD, Agricultural Administration, Dr. (Mrs.) Kemi Fapojuwo, Acting HOD, Hospitality and Tourism, Dr. (Mrs.) Bolaji Omemu; and a former student in the Foundation Science Programme of INHURD with a Cumulative Grade Point Average of 4.64, who is now studying Mechanical Engineering in the University, Miss Lawal Gbemisola.